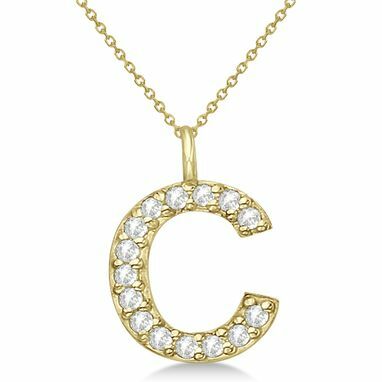 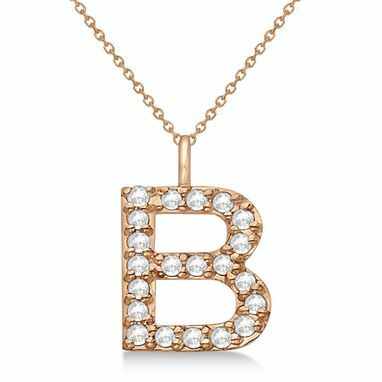 This stunning capital letter initial pendant necklace is fashioned from 14k gold, and displays up to 25 sparkling pave-set diamonds. 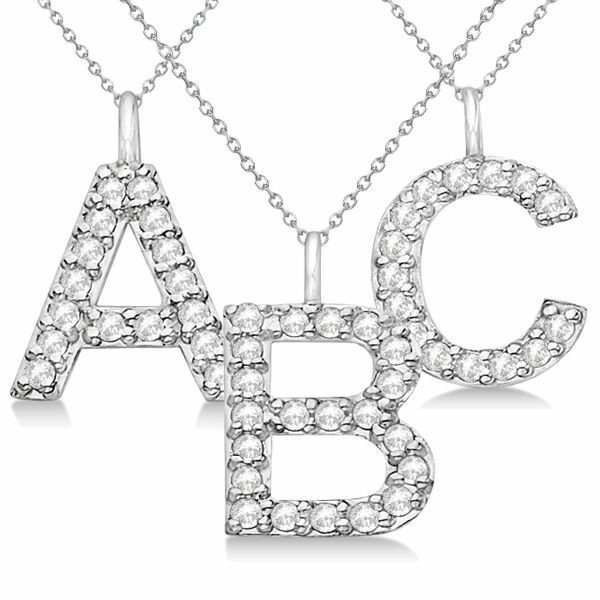 Please note that the number of stones, carat weight, and gold weight are approximations subject to change with different letter selections. 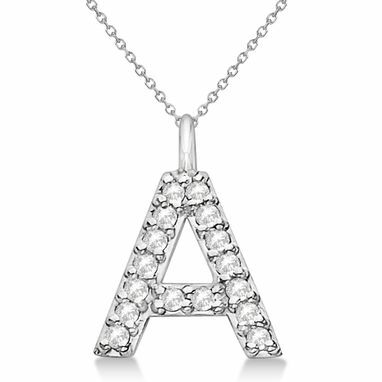 This personalized charm pendant includes a 16" or 18" chain with purchase.